I’m planning on making an exploratory trip to Ecuador to see if it’s the right place for me to move to from the States. My trip will start in Peru where I plan to improve my barely passable Spanish through a few months of schooling so that I can hit the ground running when I arrive in Ecuador. Because of my ‘no itinerary’ way of travelling, I plan on flying into Peru and to satisfy the onward ticket requirement, have a ticket to Quito a few months down the line. I may just not use the ticket and instead cross over to Ecuador by bus, figuring it won’t be problem overland. 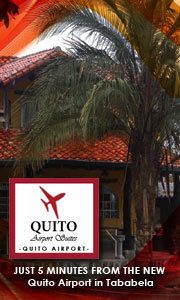 If I fly into Quito from Lima will I have to show proof of a ticket out of Ecuador? That depends on who you ask…some have said they had to have a round trip but I have never found that to be the case since I have never been asked for a plane ticket upon entering Ecuador as a tourist (before I lived here) which I assume you are doing. 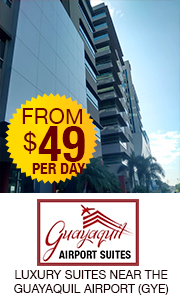 You are granted a 3 month temporary stay as you enter…it stops and starts as you leave and enter Ecuador for a year after your first entrance. Things can and do change here so my information is only what happened to me or in this case did not happen to me. Maybe someone has more current info. Good luck.